Firmware 6.1 has a number of new features including the long awaited reverse camera guidelines. Recently a lot of auto-pilot and driverless car features have been announced by Tesla and other companies. A pure driverless car will be of interest for some segments of the market – perhaps someone with a tedious commute. But many drivers will still want to actually drive their car and enjoy being on the road. Technology and automation is often but not always an improvement to our world. When I first got the Model S, I really wanted these guidelines but after driving the car for almost two years, I have a strong sense of both the front and back space of the car and really feel no personal need for these guidelines nor the parking sensors. My parallel parking skills are not superb but this weakness is largely due to lack of practice as where I live I simply don’t parallel park frequently. I have backed into so many supercharger stalls, I now feel very comfortable backing into parking spaces. I now see both the reverse camera guidelines and parking sensors similar to training wheels on a child’s bike. They are very helpful for a period of time or in unusual situations but at some point are not generally necessary. Recently a number of local municipalities are starting to design reverse in parking spaces. The San Francisco Bay Area is getting more and more dense as we are experiencing another boom in Silicon Valley. We have a lot more parking garages, compact parking spaces, bicyclists and pedestrians. Back in parking spaces are safer because when you pull out of the spot you can see other cars, cyclists and pedestrians. Also when loading items in your trunk, the trunk is near the sidewalk not oncoming vehicles. With many newer cars having backup cameras, I think this will mitigate a lot of the challenges in backing into parking spaces. 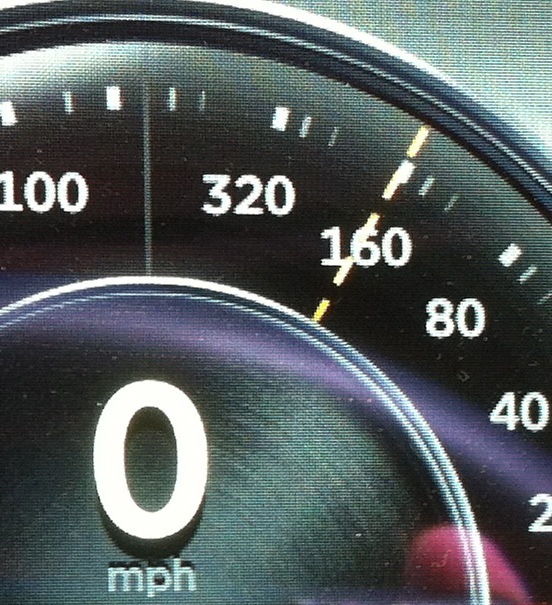 Tesla along with Volvo, BMW and Mercedes-Benz can with both GPS speed limit data and front-end cameras that read the speed limit signs notify the driver of the current speed limit. The newer Model S will soon be able to also warn the driver with a chime when they are driving over the limit or up to 10mph over the limit. I was not particularly excited about this feature when first announced but recently a friend of mine got a speeding ticket for driving 70 in a 35. She is not a reckless driver but owns a very cushy late model car and was driving on a country road where the speed limit is 55mph. She passed through a town with a few hundred inhabitants and did not notice that the speed limit changed. I can see the value of Tesla’s speed limit detector for situations like these. Some technology improvements have really helped the world. Others can be useful for only a period of time or have less value. When choosing options I would consider both the short term and long term use of some of these features and also the monetary cost. I found a new and fun use for the Model S.
After returning from my cross country journey, I thought I needed a short road trip! I decided to visit a friend about 100 miles away and needed to charge overnight to make the journey home very easy. 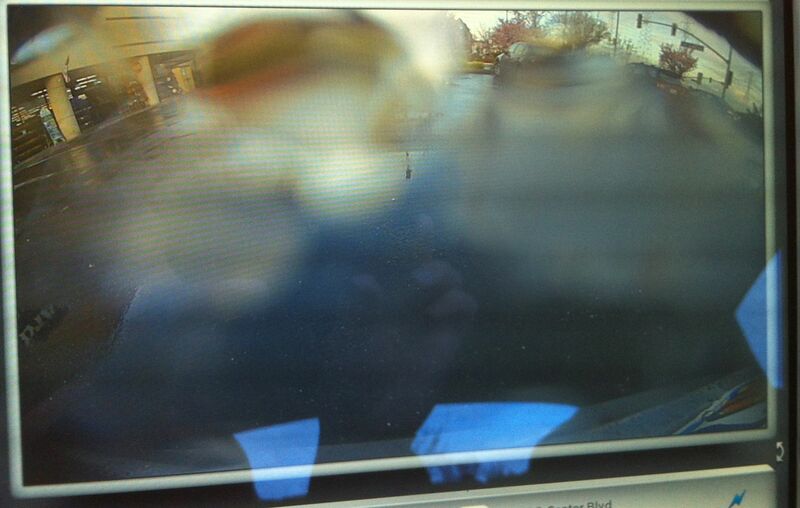 Their ten year daughter simply loved the car and her favorite feature was the rear view camera. 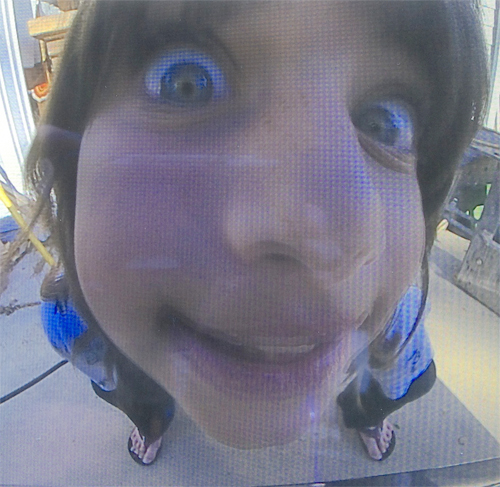 I have gone to photography school, own an SLR with a lot of lenses but never owned a fisheye lens. 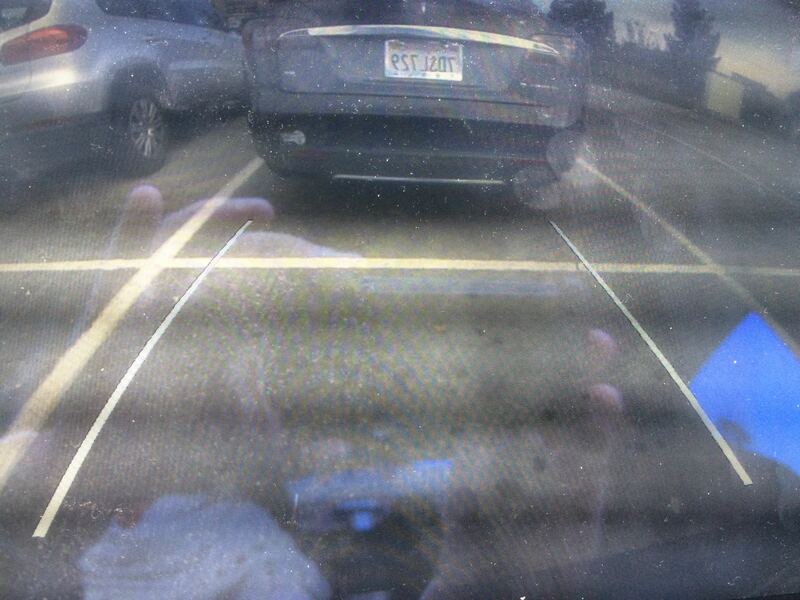 The Model S has a fun fisheye lens in the rear view camera! This blog post is a large milestone for me. I have driven Tesla’s as my main vehicle for five years with only occasional usage of a 4WD SUV. I have driven a total of over 42,000 miles in both cars, and surprisingly written 200 blog posts covering both cars. I have been an environmentalist all my life and had already owned one hybrid vehicle. When the GM EV1 came out in 1997, I took note but found the short range not very practical for me. I had been watching the market since then and everything available even in 2006 was basically a golf cart. Seven and half years ago a friend, who was driving one of the first Priuses, wanted to go to an electric car show in the parking lot of Palo Alto High School. At the event we talked to several different car “manufacturers”. The only one that impressed me was Tesla. They had a mockup / prototype of the Roadster that was pretty rough. After that initial conversation, I shortly put my $75,000 down for my Roadster. I strongly felt I needed to have action behind my environmental words. I started my blog a few days after I got my Roadster. I knew I was one of the few people driving Roadsters who had the time or interest to blog about the experience. I wanted to help encourage other people to drive electric cars. I have a technology background but I also had roles with a lot of communication responsibilities. I think I have succeeded in a small way helping others buy electric vehicles. 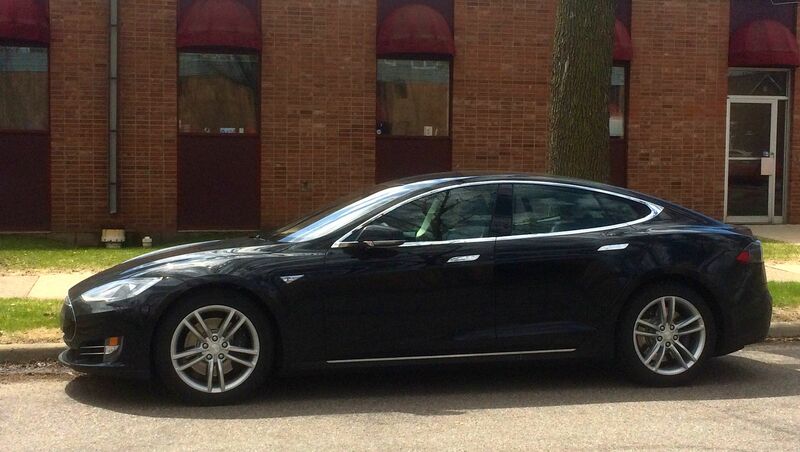 I wanted this blog to express what it is like to own and drive a high end electric vehicle. I avoid talking about the stock price and many “news events” as they are heavily covered by the mainstream media and often I have nothing in particular to add to the conversation. During the Roadster years, I typically got 5 to 10 views per day. Honestly, there was not that much to write about the car because the driving experience and controls were very simple. Once I began blogging about the Model S the number jumped by a factor of 10, and I typically get 50 to 100 views per day with some days being substantially higher. Lifetime number of views is almost 50,000. Most people find me through google searches a combination of words such as tesla owner reviews model S etc… and also through a few links on forums and other sites. I suspect a lot of these people are new car buyers. Most visitors are from the US but Norway and Canada are also active. I currently have 45 followers. I have a number of posts that are consistently popular over time as they contain some detailed information for new buyers. Living With 110V – My successful first month with the Model S using just 110 before I got my adaptor to my Roadster High Power Connector. 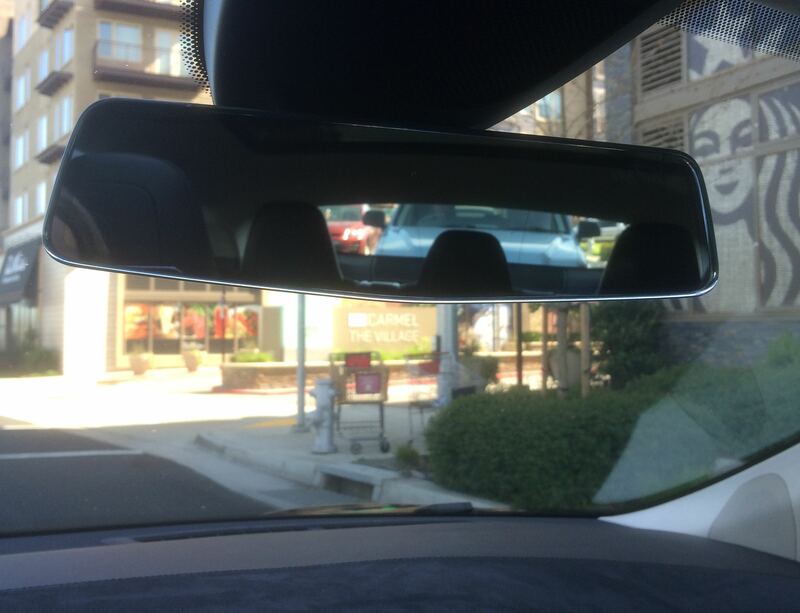 Range Test – I surveyed a number of other Model S owners to see if driving style had any influence on the car’s rated range. The results were a clear conclusion that there was no relationship. 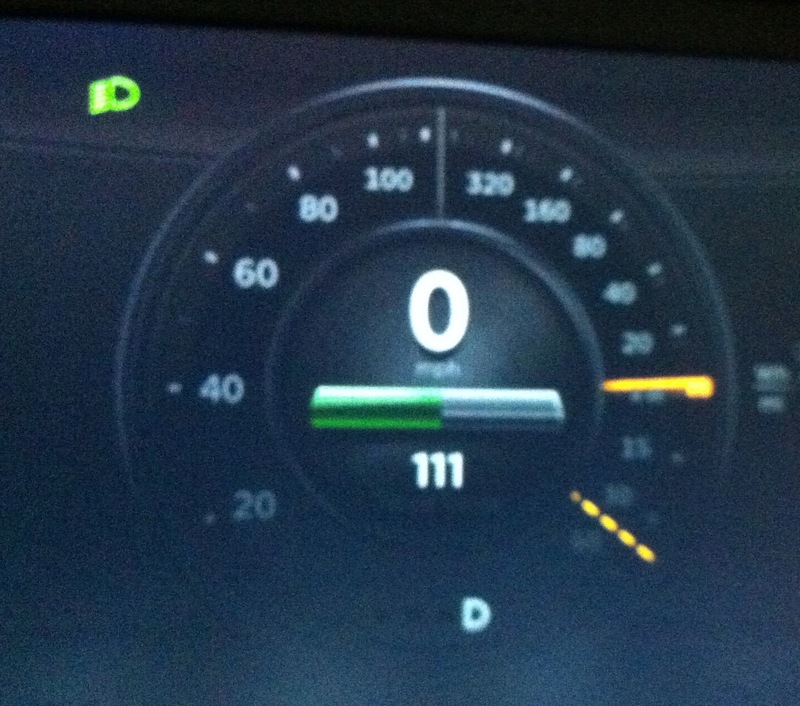 Supercharger Time Test — trying to achieve 170 miles in 30 minutes during five different systematic tests. I love the acceleration of the Teslas. In any situation knowing I can safely accelerate past another car when necessary. I still enjoy this part of the car although from time to time I can scare my passengers. The drive is smooth, quiet, comfortable. Never having to go to a gas station. The convenience of filling up at home is really nice. The overall electronics experience is very nice in the Model S.
I do feel I am doing my part for the environment as I am “driving on sunshine” as except for the occasional outside charging, all the electricity is generated from the solar panels on my home. Rear view visibility. I am not that thrilled with using the camera particularly on rainy days. 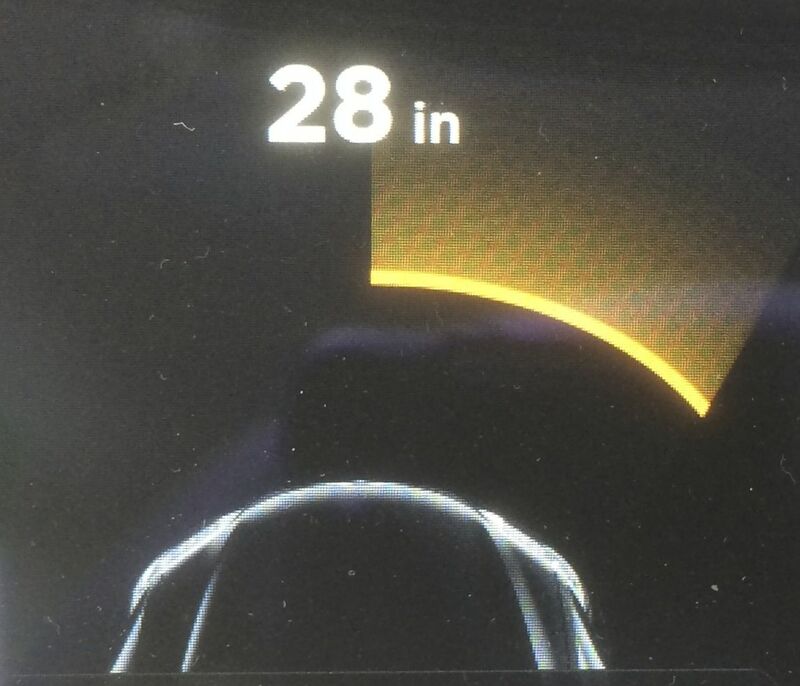 The car is really just a bit too wide for me. I would prefer it a little narrower in order to get into a lot more tight parking stations as the Bay Area is getting more and more crowded. I have a fair amount of curb rash on my beautiful 21” wheels. But most of these rashes are from the first six months of driving (or parking). At times I wished the Iphone and the Model S talked to each other better. If I have someone’s address on the Iphone I would like to be able to navigate directly there. The homelink at times can be slightly annoying. It seems to recognize the garage door sensors quite far away but often cannot open them till quite close. 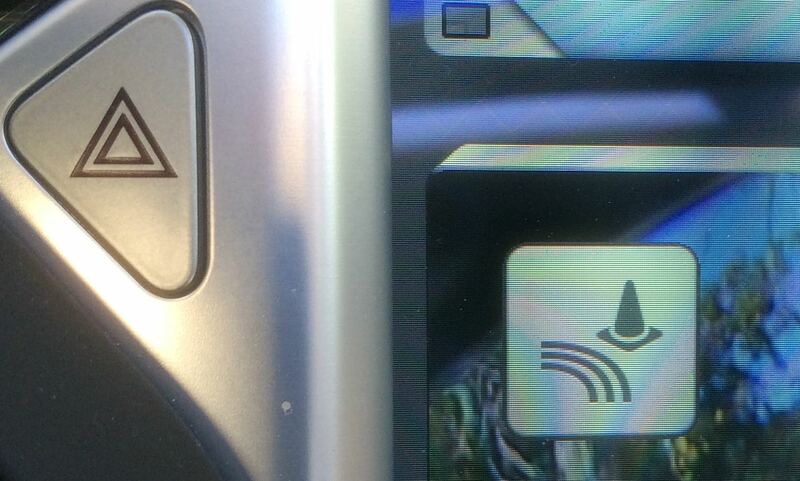 And the drop down menu often turns off the rearview camera’s picture. The only real problem I had with the Roadster was horrible radio reception but that got fixed over time. 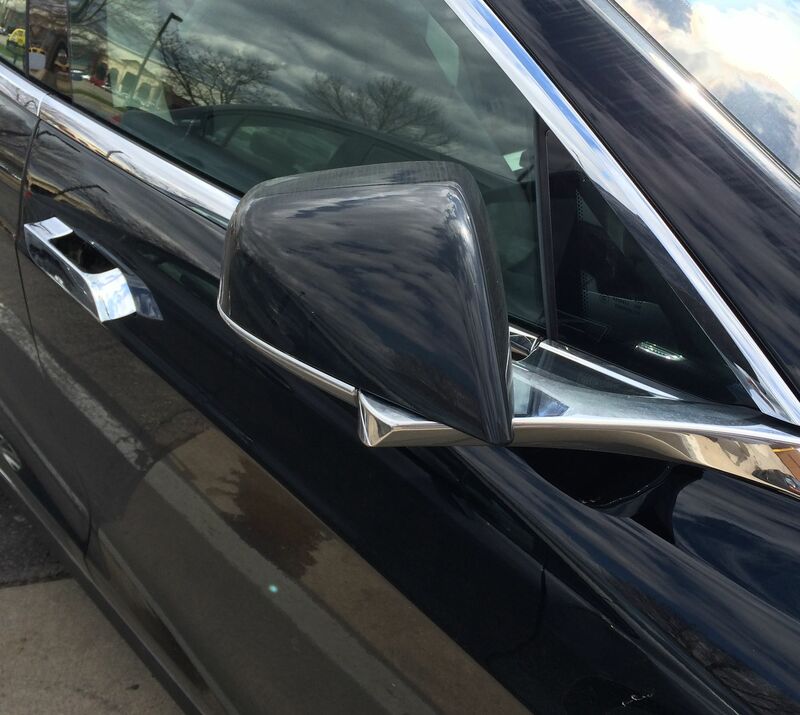 With the Model S I had several problems with the door handles but they also have been resolved. I have found all the folks at Tesla to be extremely responsive and friendly. I have enjoyed all of my interactions with Tesla personnel. I would give them my highest possible marks for customer service. I have kept my identity hidden from the blog. A large reason is that I really wanted to have a straight forward historical blog about living with a high end electric vehicle, not about its owner. I also wanted to not receive any preferential treatment from anyone at Tesla. Only within the last six months I have disclosed my identity to Tesla in order to get some important questions answered about supercharging. I also have never owned any Tesla stock. There was a brief opportunity when Elon permitted accredited investors with Roadster deposits to invest in Tesla. At that time I was reeling from an unenjoyable experience as an angel investor. Although I have invested in pre-public technology companies several times, I was not completely comfortable with my knowledge of the car industry. Once Tesla went public, I just never made the move perhaps fretting over timing. Regardless whether or not I ever invest in Tesla, the amount will not be a significant one for me, and this blog will continue to be objective. I still have a number of ideas for future blog posts and maintain a running list. My posts over the years have in general have an increased level of analysis and word count. I am probably overdue for a cosmetic overhaul. I would love to hear any feedback on the blog in general both good and bad and what anyone would like me to write about in the future. I generally don’t cover Tesla news as the mainstream media and the two forums cover them well. Recently there have been three events that I thought were worth mentioning on this blog. 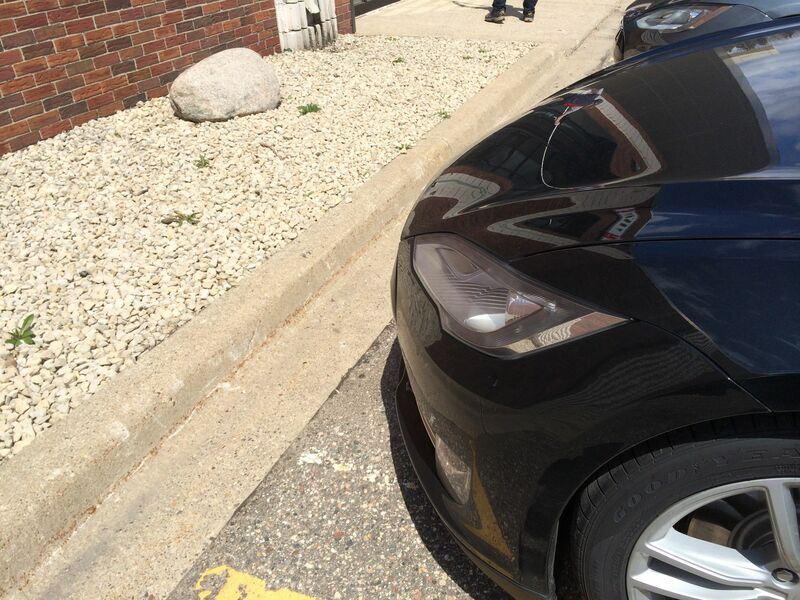 First, two teams of people managed to cross the country in Tesla’s using the supercharger network. The first was a father and daughter team. The second was an official Tesla team earning a Guinness world record for “lowest charge time for an electric vehicle traveling across the country”. Seems like somewhat an odd world record but they basically made it in a little over three days in true winter weather. Both of these exercises would not be particularly fun or something a typical driver would want to do. Most people would want to stop and enjoy the scenery and sights and not simply drive from point A to point B. But both of these trips showed that enjoyable road trips throughout the world will soon be possible as more and more superchargers are installed. One notable feature I noticed in the coverage of the official Tesla cross country drive was the newer firmware has an option to show the percentage of battery remaining. I am excited about this small feature as I think the percentage is much more intuitive than the current reading of rated range miles. The third event was a Q&A session in Norway with Elon Musk and JB Straubel in Oslo last week. You can watch the long video. I found the following points the most interesting. The upcoming version 6 software will have some new features and improvements on existing features. Real time traffic. This feature is already there but may include an interaction with navigation or faster updating. More suspension options for the driver. You will be able to adjust the suspension manually at a variety of speeds. A later update of the software in the version 6 family will have lines in the backup camera. Tesla is working on an active hill hold feature. Today the Model S on hills reminds me of stick shift cars where if you were not good with the clutch, the car would roll back. With the Model S, you have to use your brake on hills in order to not roll back. On steep hills, I often feel like I need to very quickly shift from the brake pad to the accelerator. I have experimented with trying to use the existing creep feature on steep hills but it did not solve the problem in a significant way. In extreme situations, I have used both feet to release the brake instantaneously while pressing the accelerator. Various questions from the audience brought up physical aspects of the car. Center console for storing items is coming soon. Improved seats will also be available as an upgrade. First, a small upgrade in the spring force of the seat and later on a redesigned upgraded seat. Seats today need to work with the air bag system so redesigns are not that simple. Improvements in radio reception. I find the radio reception today so much improved over the original Roadster’s radio, I don’t notice this issue. A discussion occurred on how green the Model S is. Tesla has done an internal energy study on the car production and will release a white paper on this soon. JB said that the energy payback occurs in less than 10,000 miles of driving. Elon also said the car with a battery replacement should easily last twenty years. Most of the superchargers this year will be charging at 135kW — another improvement of charging times for most Model S owners. Tesla does not record car speed or location data. During an emergency, they can detect this information. They do monitor the battery regularly. Various discussion points about the Model X and its gull wing doors. A Norwegian driver was concerned about transporting long skis. Elon said there is potentially a place for a ski box in the triangular place between the doors or a location under the seats. I doubt the Model X will be able to transport a paddleboard or a kayak. Elon also said if you can physically fit between the Model X and the car, the doors will have enough side clearance to open.